Your Verdict > How Important Are Confessions? Examine the case of the prosecution and the defense. Then decide: Which side are you on? Samuel Coulson was an English merchant who was arrested and confessed under torture to his involvement in the plot to seize the castle. 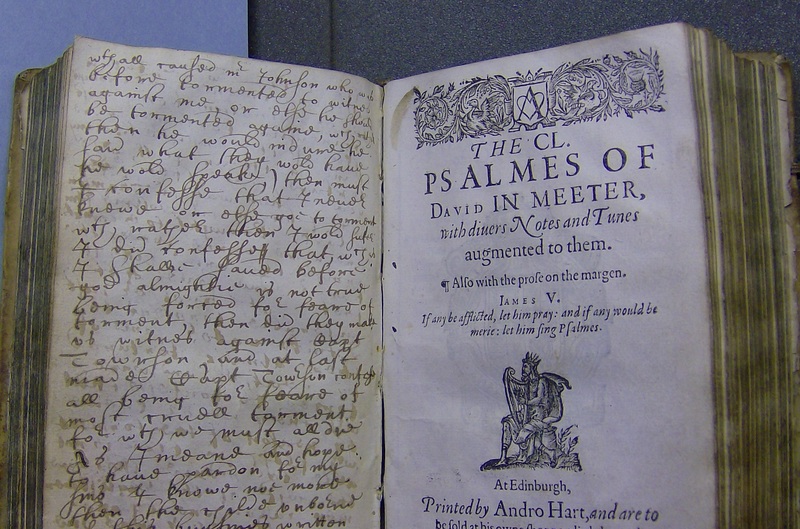 In the days before his execution while he was lying in chains he wrote a declaration of innocence in a psalm book that was later smuggled out to London. For the Prosecution, the psalm book proves nothing and does not alter the fact that he had already confessed. 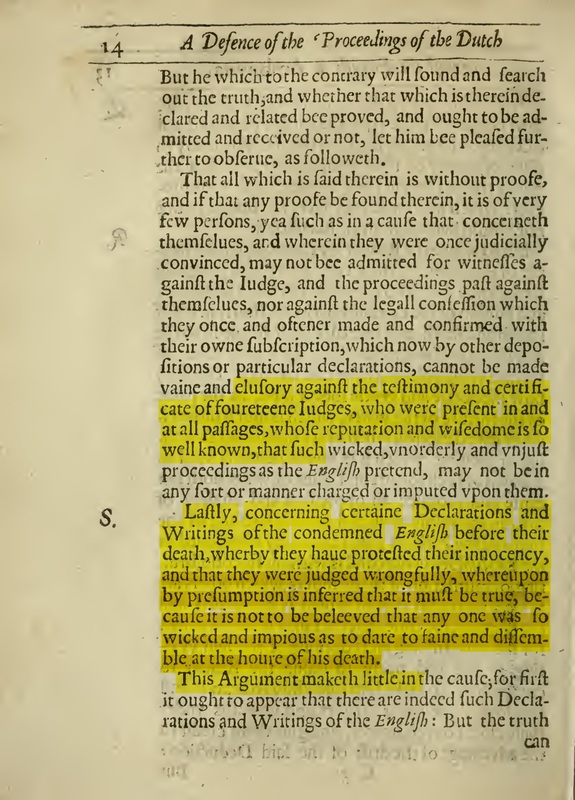 For the Defense, the existence of psalm book undermines the entire Dutch case for it shows that the English only confessed to avoid the torment of torture. Coulson confessed to his involvement in the plot and signed his confession. A secret document smuggled out proves nothing. There is no guarantee that he was telling the truth and in any case the psalm book carries no legal weight. He might have been lying or dissembling in some way for advantage. What matters is the legal confession that he signed. Coulson was lying in chains ready to be executed. He had no reason to lie and yet here we see him declaring not only his absolute innocence but also that of the other English merchants executed at Amboyna. Here we see the collapse of the Prosecution’s case. Coulson explains that he was savagely tortured, which caused him to give a false confession but as soon as the torture ceased, he declared his absolute innocence. Embedded video for How Important Are Confessions?